Costa Rica is definitely a second home for Courts for Kids. In June 2010 we completed our sixth court in the country in partnership with Katy Volleyball Academy from Katy, Texas. 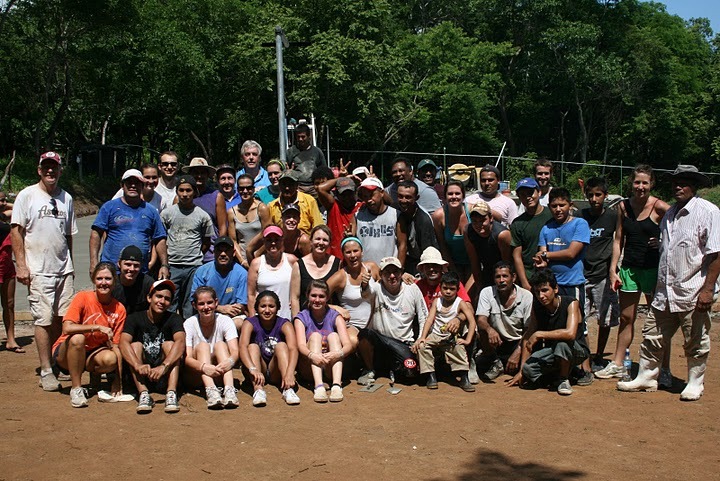 The group worked grueling hours alongside the locals to make this court a reality. 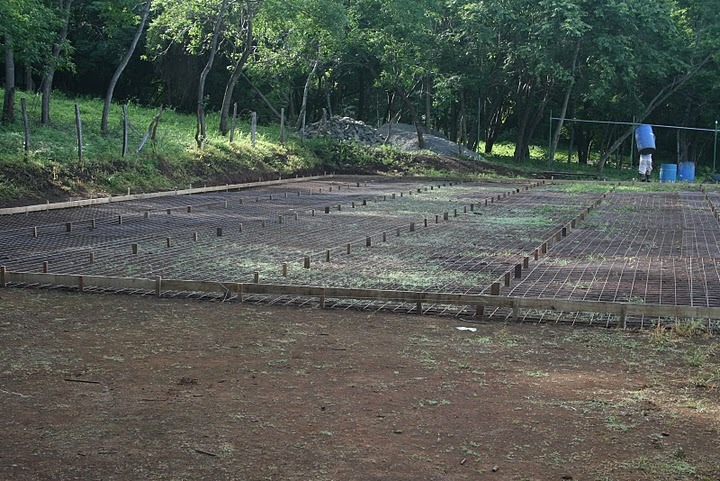 Of all the courts in Costa Rica that we have completed, in all corners of the country, the in-country Peace Corps director who has seen all the projects completed, has said that this one will go to the greatest use. In his opinion, Costa de Pajaros is probably in the greatest need of any who have received courts. This is a very significant statement, considering the last project in Costa Rica took place in a community that lived outside of a garbage dump. Apart from a zipline tour of the rainforest, this group was all business, getting up at around 4am to eat breakfast and then catch a public bus to make it to the court to get started bright and early. It took five intense days of work to finish it, but the team was able to see the completed court (minus the painting, which happens after the concrete cures), and shoot a few hoops with the workers. A remarkable side note and a Courts for Kids first was a little family reunion that took place. One of the girls in high school who went on the trip has a biological grandmother in Costa Rica who she had never met. It just so happened that the grandmother lived about fifteen minutes away from where the team was staying and so they were able to connect a few times. This girl met not only her grandmother, but many, many family members as they came to the team’s house and had a little family reunion celebration! 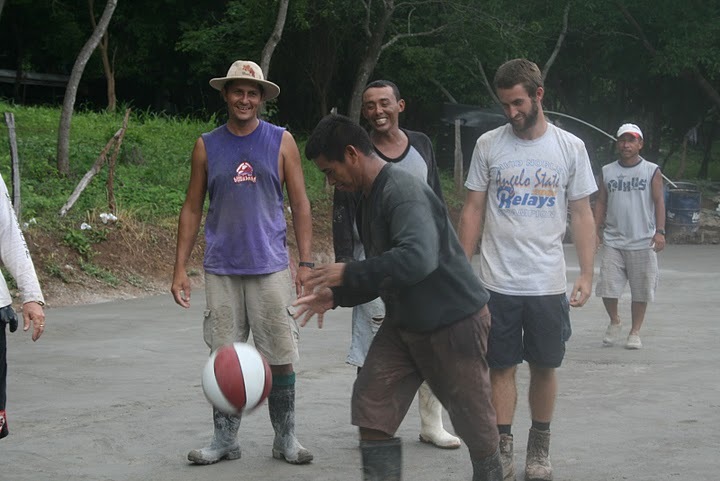 We LOVED getting to know the Tico men who worked with us, their stories and their work ethic. 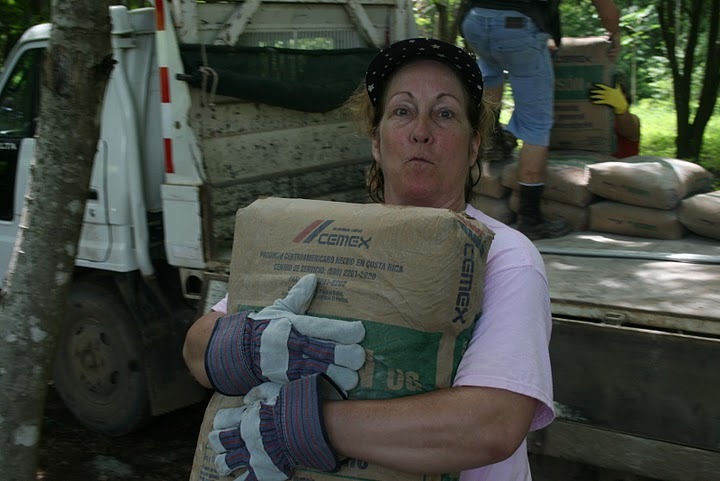 we loved being able to assist in giving Chris’ community something they truly needed that will affect their lives for many years to come. It was truly something incredible to be a part of. I will never forget this trip and all the things I learned, and the wonderful experiences that I had (and my body will heal :)) I wish you and Courts for Kids the best as you do your work and make a difference in kids’ lives all over the world.